Northern Michigan Black Star Farms‘ tasting room manager, Chris Lopez had his hopes pinned on an Ann Arbor tasting room, 240 miles from the winery’s main tasting room. This college town has a proven appetite for good wine and innovative food. Top Chef contestants Eve Aronoff (Frita Batido) and Takashi Yagihashi (Slurping Turtle) have both put down roots in Ann Arbor, after all. Bustling downtown Ann Arbor was the perfect contrast to Black Star Farms’ rural tasting room in Suttons Bay, on the Leelanau Peninsula. VinBar in Ann Arbor serves only Michigan wine. Going so far as to poll retailers and restaurants for their reaction prior to opening, Lopez was surprised not to encounter a restaurant or bar with a competitive edge. 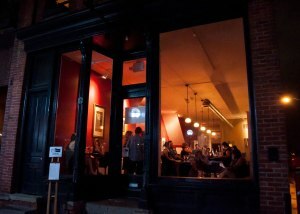 ‘They look at (Vin Bar) as an opportunity to drive sales to their venue,” he says. ‘We spent around $70,000 to $80,000,” says Lopez, speaking candidly about the construction costs. 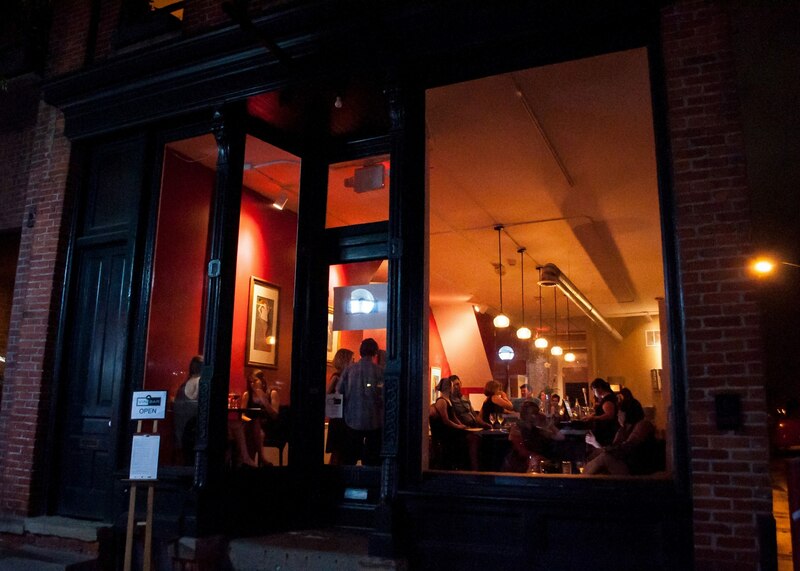 Vinbar is in a 100-year-old building, which meant retrofitting was necessary. While most tasting rooms are dedicated to the adjacent winery, some — like Vin Bar — pour wines from throughout the region. 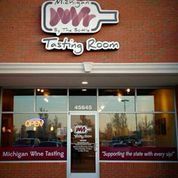 This December, Michigan by the Bottle plans to open a second tasting room outside of Detroit, in Royal Oak, as a partnership between eight Michigan wineries. The first Michigan By the Bottle — in Shelby Charter Township, 30 miles north of Detroit — opened in December of 2012. ‘It was a way to get the wines out to a part of the state where most people live,” explains owner Cortney Casey, who grew the idea out of a website devoted to Michigan wines of the same name. ‘What we’re hearing is that this part of Michigan really needed it.” Staff help visitors plan trips to Michigan wine-country regions, often based on experiences Casey and her husband can recommend. Rachael Peake, owner of Capital Cellars in Frankfort, Ky., which is a wine-focused bar, retailer and a restaurant, has been a champion for wines from Kentucky and neighboring Ohio since opening in 2006. She features an Ohio wine by the glass, plus wine from Southern Indiana whenever she can obtain enough supply. Twenty-three Kentucky wines are sold too. ‘We’ve got a whole wall of Kentucky wine,” says Peake. She looks for labels that flaunt a professional look — nothing designed on a home computer. ‘I say to those wineries, ‘How am I supposed to sell this crazy bottle of wine that nobody has heard of — for $15.99 — with a label like that? '” says Peake. 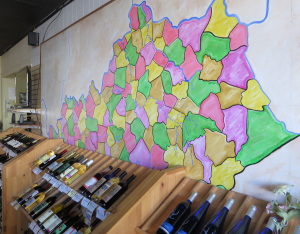 ‘$12 is the sweet spot right now in Kentucky.” To market local wines, she hosts free tastings on Fridays and a Kentucky wine is featured on ‘New Wine Wednesdays.” A paid consultant works 10 hours per week to promote Capital Cellars’ local-wines promotions on social media. 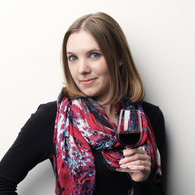 Most importantly, Peake puts her palate to the test when choosing what wines to carry. ‘I don’t sell anything I haven’t tasted,” she says. Building Capital Cellars from the ground up wasn’t cheap. ‘You could easily spend $200,000 to build a wine bar,” says Peake. ‘We spent a lot less. We were very resourceful with a lot of recycled items.” Wine racks were handmade, and former church pews were salvaged with love. A friend even donated kitchen cabinets after a remodel. Other examples of regional wine bars in the Midwest include The Secret Cellar in Shueyville, Iowa, where owner Lauren Chalupsky-Cannon enthusiastically carries bottles from 17 Iowa wineries alongside Napa Valley’s Opus One. 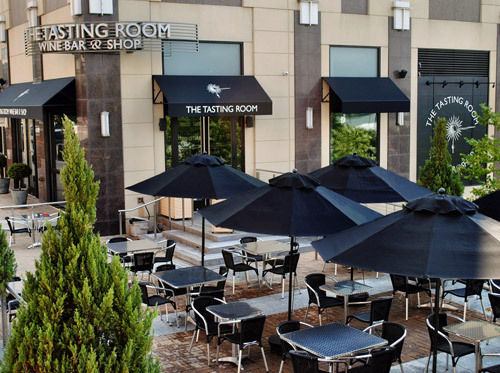 Other emerging wine regions have adopted a collective tasting room model to educate palates, particularly those who are skeptical of the wines’ quality. Casey, of Michigan By the Bottle, was inspired by what she saw in Spokane, Wash., at Nectar Tasting Room, a partnership between five Washington wineries. Ashley Edwards is the manager at Grapevine in Gruene, Tex.’s historic district. It’s the largest Texas-wine retailer, representing 40 different Lone Star wines. Many of these wines have been able to secure a distributor after the exposure at Grapevine. ‘A lot of smaller wineries will seek us out because it’s a great way to get their name out,” says Edwards. The staff at Grapevine take the time to suggest Texas wines that complement a customer’s favorite wine, such as a Texas Tempranillo in lieu of a California Cabernet Sauvignon. Live music in the courtyard and the freedom to carry a glass of wine out onto the street make Grapevine a sought-after destination. Indeed, red-wine blends from Boxwood — plus a Viognier from Barboursville Vineyards, another Virginia winery — bump up against by-the-glass selections from California, Germany, Oregon and France. Wines are sold by the glass and bottle, or to-go. ‘It’s a great way to compare our wines to Bordeaux or Bordeaux blends in California, or Super Tuscan blends in Italy,” says Martin. ‘Virginia is now on the map, but it wasn’t always.” Live music on Saturday night coaxes in customers, as does an Enomatic wine-dispensing machine where the cost to build a flight rivals the price of a glass of wine. Charcuterie plates encourage customers to linger. ‘It really rounds out the experience,” says Martin. Splurging on the 1,500-square-foot space — including a patio — was important. Martin estimates he spent $500,000, working with a well-known architect to craft a cutting-edge environment. ‘We went all out to make that feeling of a high-class experience very purposeful,” says Martin. Food retailers are an important partner in advocating Midwest wines, too. At Outpost Natural Foods Cooperative, which has four stores in the Milwaukee area, local purchasing specialist Zack Hepner supports the Badger State’s wine industry as a complement to other locally procured products. Two of the seven wineries — Wollersheim Winery (Sauk City) and Stone’s Throw Winery (Bailey’s Harbor) — are enrolled in the ‘Get Local” program where cooperative owners get five percent back. ‘We use that as a way to draw shoppers to the local wines,” says Hepner.